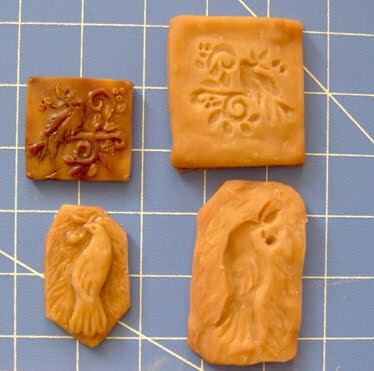 This tutorial describes a fun and easy way to create a Press Mold from Super Sculpey Polymer Clay to make ceramic clay pendants, etc. The first step in the process is to sculpt a bas-relief mold from Super Sculpey which is soft and pliable to form but bakes in an oven to make a nice firm mold. The baking directions are on the box. 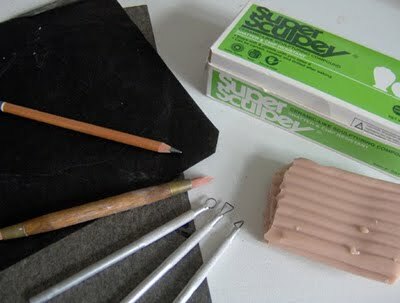 The other materials/tools shown are: pencil, clay carving tools and graphite paper, as shown in the image below. You will also need a mold release agent like a liquid hand soap. 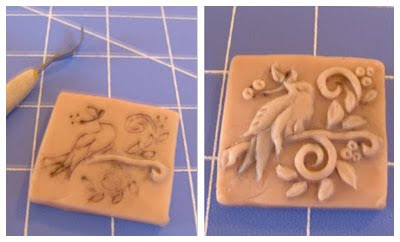 The next step in this tutorial describes how to sculpt a bas-relief mold. 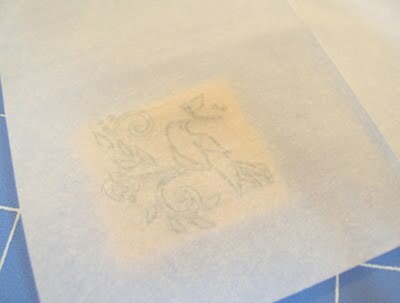 Begin with a sketched design and transfer it to a piece of Super Sculpey rolled out to approximately 1/4 in thick. The design is transferred using the pencil and graphite paper (dark side down). Next roll out and manipulate little pieces of the Sculpey, carving and sculpting as you go to create your mold. Then bake your mold per the directions on the Super Sculpey box. If you bake it a little too long it will being to darken, as you can see in the photo further down this page. But that is not a problem. 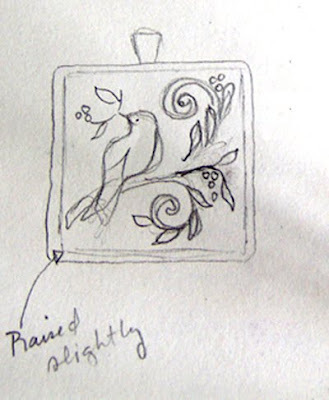 You now have a bas-relief sculpture/mold which you can press into clay, but for our purposes we need to go a step further to create the Press Mold for our pendant. The final step in making the Press Mold is to roll out another 1/4 inch piece of the Super Sculpey. 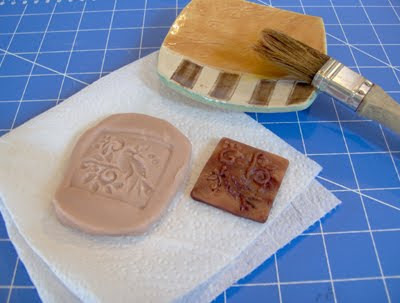 Then brush over the baked bas-relief sculpture mold you have already created with the mold release agent (liquid soap) and press this into your newly rolled out Sculpey. Now all that is left to do is bake your Press Mold and there you have it! To make your ceramic jewelry designs simply brush the mold with the mold release agent and press your clay into the mold. It is best to use a fine-grog or no-grog clay for this technique. I generally use porcelain clay. It may take some experimenting with your clay to get just the right thickness, etc., but it really is a very easy way to create a multitude of molds. And of course you don't have to sculpt your own design - you can use many things around your house to press into the Sculpey to create a Press Mold. I've use buttons, picture frame molding, fabric, etc. 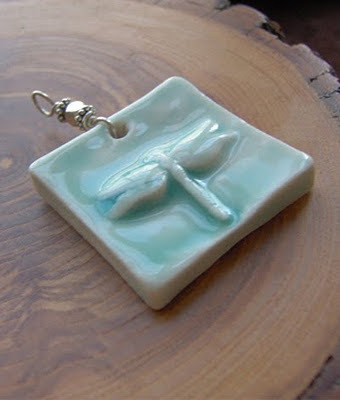 Visit my Flickr pages to see some more examples of my ceramic jewelry made using this technique. Happy mold making!